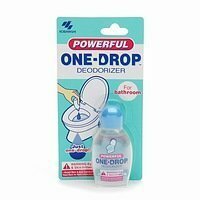 One-Drop is the easy way to get rid of potentially embarrassing toilet odors. At home or when travelling, a single drop in the bowl before using the toilet delivers a pleasant, fresh fragrance and helps reduce unpleasant smells. 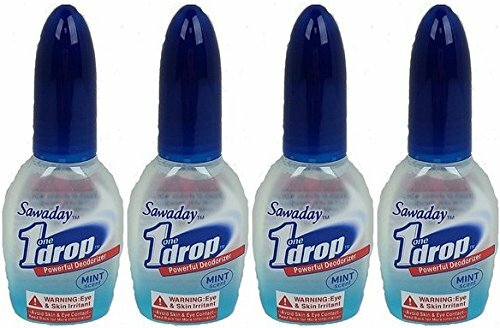 You will receive (FOUR) 0.67 oz bottles of One-Drop(TM) Concentrated Deodorizer by Kobayashi. About OneDrop(TM) by Kobayashi Powerful Odor Blocking Technology! ONEDROP is a specially formulated deodorizer that once applied to the water in the toilet forms a protective barrier that prevents odors from escaping. How it works: Drop concentrated ONE DROP formula into bowl. ONE DROP formula quickly spreads on surface of water, forming a protective layer through which odors can't escape and releases a fresh scent. OneDrop Powerful Toilet Deodorizer! OneDrop is a specially formulated deodorizer that once applied to the water in the toilet forms a protective barrier that prevents odors from escaping. Specs & Details: Safe To Use With Septic Systems Deodorizing Oil From Plant Extract One Bottles Contains About 700 Drops Ingredients: Fragrance, Plant Extract, and Glycol Ether Quickly Spreads On The Surface Of Water! 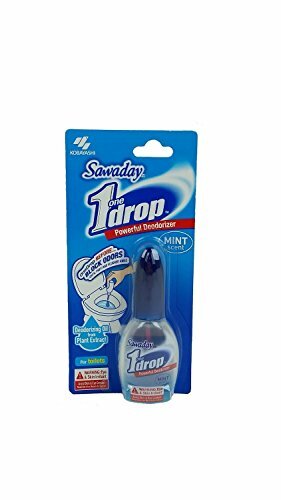 Mint or Floral Scent Country of Origin: Made in Thailand Directions - Uncap and squeeze 1 or 2 drops into toilet bowl water before or after use to instantly deliver fresh fragrance and eliminate unwanted odors. 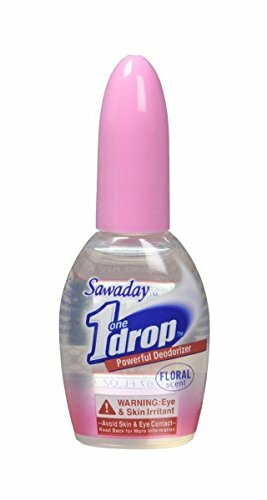 Buy with Confidence - To ensure you receive genuine OneDrop products when shopping online, please only purchase from authorized distributors or retailers or an Amazon listing that clearly states the product is sold and shipped directly by Amazon. Unauthorized sellers, such as private sellers (not commercial sellers) may offer outdated products or imitations not meeting OneDrop quality standards. We want our customers to purchase our products with the confidence that they are getting genuine, quality OneDrop products. You will receive (SIX) 0.67 oz bottles of One-Drop(TM) Concentrated Deodorizer by Kobayashi. About OneDrop(TM) by Kobayashi Powerful Odor Blocking Technology! ONEDROP is a specially formulated deodorizer that once applied to the water in the toilet forms a protective barrier that prevents odors from escaping. How it works: Drop concentrated ONE DROP formula into bowl. ONE DROP formula quickly spreads on surface of water, forming a protective layer through which odors cant escape and releases a fresh scent. My Bathroom Ninja Presents: Kobayashi Powerful One Drop Toilet Deodorizer "Just one Drop and Odor Stops!" You will receive (TWO) 0.67 oz bottles of One-Drop(TM) Concentrated Deodorizer by Kobayashi. About OneDrop(TM) by Kobayashi Powerful Odor Blocking Technology! ONEDROP is a specially formulated deodorizer that once applied to the water in the toilet forms a protective barrier that prevents odors from escaping. How it works: Drop concentrated ONE DROP formula into bowl. ONE DROP formula quickly spreads on surface of water, forming a protective layer through which odors cant escape and releases a fresh scent. One Drop 0.67 oz. One Drop Powerful deodorizer. One-Drop Deodorizer is small and easy to use, ideal when travelling or for use at home. The small bottle fits easily inside your purse or pocket. To get rid of potentially embarrassing odours, simply squeeze a single drop into the toilet bowel before using it. 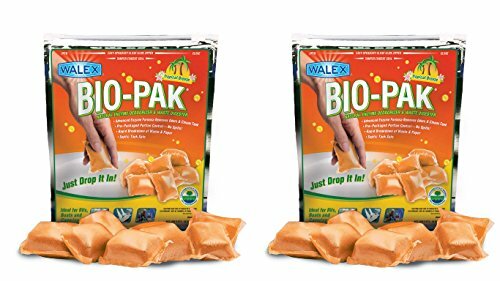 Quickly you will see odours are reduced and replaced with a forest scent. One-Drop is an environmentally product that works effectively. Value for money with up to 300 uses per bottle. Convenient packaging with a bottle small enough to take anywhere. Squeeze 1 or 2 drops into toilet bowl before or after use. One bottle provides approximately 350 uses if 2 drops are used. You will receive (2) 0.67 oz bottles of One-Drop(TM) Concentrated Deodorizer by Kobayashi. About OneDrop(TM) by Kobayashi Powerful Odor Blocking Technology! ONEDROP is a specially formulated deodorizer that once applied to the water in the toilet forms a protective barrier that prevents odors from escaping. How it works: Drop concentrated ONE DROP formula into bowl. 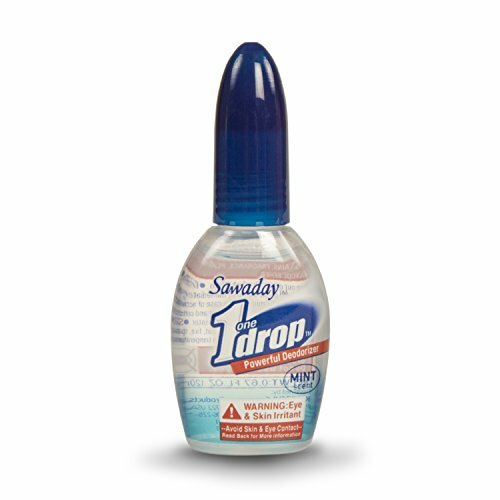 ONE DROP formula quickly spreads on surface of water, forming a protective layer through which odors cant escape and releases a fresh scent. Toilet Deodoriser - One Drop before you Drop! 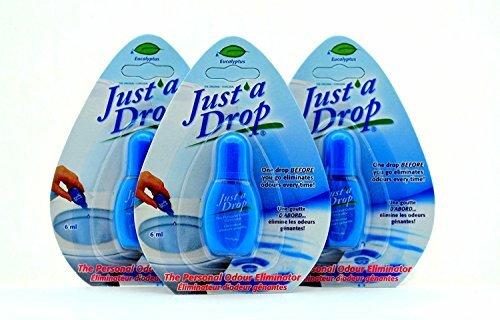 Compare prices on Drop Deodorizer at ShopPlanetUp.com – use promo codes and coupons for best offers and deals. We work hard to get you amazing deals and collect all available offers online and represent it in one place for the customers. Now our visitors can leverage benefits of big brands and heavy discounts available for that day and for famous brands.